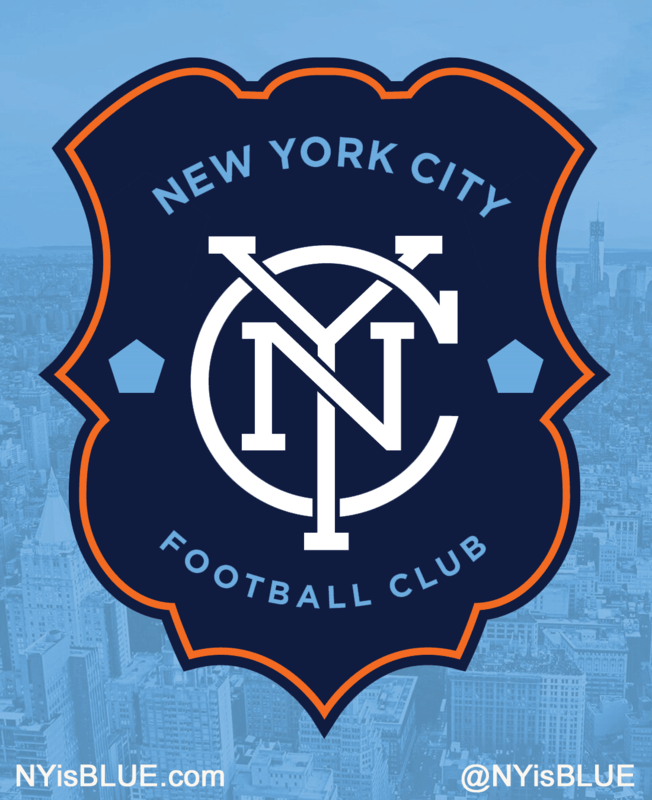 My mash-up NYCFC crest, featuring the best elements of the two club crests now up for a vote, is garnering some very positive attention. 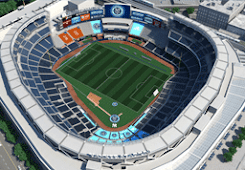 It's getting very good feedback on Twitter and Facebook, and Soccer Newsday columnist Nick Chavez mentions it in his article this morning on the vote. So which badge seems the more likely to be unveiled on March 20? It appears a considerable majority (of) social media responses indicate that the circular NYCFC badge design to the right is the preference of most voters and commenters. 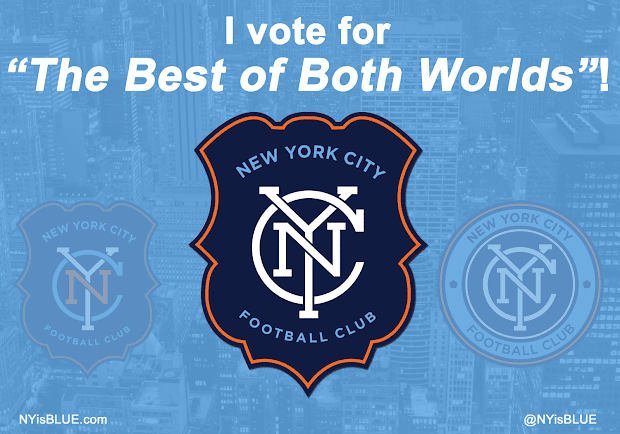 On the other hand, a “Best of Both Worlds” campaign has been initiated by Chance, one of the prominent organizers of New York City’s first official Supporters’ Group on his NYCisBlue.com blog, where he tweaked (the) NYC Seal-shaped badge, making the monogram all-white, the shield navy blue, and the trim orange instead of gold. Originally partial to the idea of the New York City seal-shaped idea (though feeling like it was missing something), and the uniqueness of its shape as a football club badge, I find myself leaning towards Chance’s tweak of the design. He goes on to write "in truth, I would be pleased with whatever the fans choose," and I agree with him there. But as a fan, I want nothing but the best for my new club. "This badge is to be the symbol of our Club, a symbol of our players and we hope in time, a symbol of this City. That is why we decided to give our fans the power to take part in such a fundamental way." And we're grateful for it, Mr. Reyna. So grateful, indeed, that I wanted to put my own efforts forward in the creation of that symbol. I feel the club is so close to a truly perfect design, featuring the best elements of Rafael Esquer's two designs. If you agree, let the club know!